Vacation Time What To Do With Fido? You are planning a vacation and are not sure where to board your dog are you looking for a dog kennel or a dog motel which would be better for the time you are going to be gone? Let’s take a look at some of the options here in my area, shall we? When you seriously need a vacation first options are finding a pet-friendly motel so you can take your best friend with you, but in the event, you cannot find one where you are going on vacation I researched what is in this area as options. First of all, I will only list kennels or motels for pets with 4-star ratings and above because I would never recommend taking my pets to anything less. Do yourself a favor prior to using any kennel service to board your pet visit the facility and talk to the people running the place ask to see the kennel set up and ask as many questions you can think of for your best friends most pleasant stay. Rocksteady Kennels – comes with a 5-star rating – location is in Saltsburg, PA – They also offer training for pets! Walkers Pet HoTail – 4.6-star rating- location Murrysville, PA – Offering daycare and grooming for pets as well. Airy Pines Boarding – 4.8-star rating – location Plum Boro, PA – The have doggie daycare nice! Pittsburgh Pet Concierge – 4.9-star rating – location Monroeville, PA – Pictures and daily journal for your pet daily! There are some others that rated in the 4.0 or slightly above but checking the reviews people wrote I liked just the four listed above for my area. They showed pictures of the facilities and what they offer in extras is the best value from what I found. Leaving your best friend behind to go on vacation is not an easy thing so finding the best possible place for them to stay while your away gives you some piece of mind to be able to relax and enjoy your vacation not having to worry if they are being taken care of properly just like you do when they are with you. Doing all the research and how time-consuming it can be will benefit you and your best friend when it is time to leave them for a week or more someplace they are not familiar with. When calling any kennel or dog motel to ask if your pet can accompany you on the visit to check them out watch how he/she reacts to the people and staff. See how they react to the property and surroundings this can also provide you with valuable insight into whether they are going to be happy there. What should you pack for your best friend to take on vacation with them? This might sound silly but it is not, your best friend is used to having his/her own things around the house. What about the favorite toy they sleep with every night. Take it to the kennel for them to have to sleep with takes away the anxiety of sleeping away from home. Your best friend has their own bed and taking it with them also provides them with a sense of security while they are away from you. Their own food and water bowls help as well. Does your best friend have medication or special diet – make sure they have enough for the time you are away. I always recommend taking your own dog food you do not know what brands they use at the kennel plus the cost is usually high. Just think about what all your best friend has at home they use on a daily basis and include that when you pack them to leave for their vacation just like you do for yourself. Everyone is packed and it is time to leave and take your best friend to the kennel for vacation. When you drop your dog off at the kennel try not to make it a long goodbye this can cause your best friend to become anxious over the fact you are leaving them. A quick goodbye is the best once your out of sight their attention will be turned to what is going on around them; not that they are not going to miss you they will just best to let them get on with enjoying their vacation too. With all the activities some of the kennels have in place for your best friend while you are away it might be hard to miss you from their point of view. Some of them pamper your pet more than they get while at home. You are back from vacation and stop to pick up your best friend who you surely missed. If you did all the research and visited the kennel that your best friend stayed at you will be picking up a happy healthy dog just as you left him/her. So as you will sometimes learn you do not always have to find a pet-friendly motel to stay in when going on vacation you have found an alternative that not only makes you happy but also makes your best friend happy. What are your thoughts about taking a vacation without your best friend? 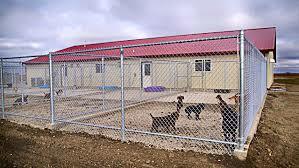 Do you prefer kennels over dog motels? What all do you pack for your best friend when they go on vacation? Please leave your answers, comments, suggestions, or questions in the space provided below. Looking forward to these from many areas, not just the ones close to mine. Thanks for stopping by today and having a look around my website give us a bookmark and come again will often be adding more tips and articles in the future.